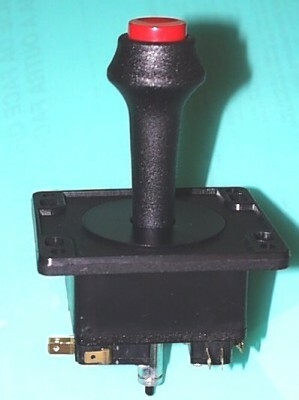 I picked up 2 new Happ top fire joysticks on Ebay pretty cheap. I scanned the Assembly Instructions in PDF if anyone needs it. The instructions warn you against reversing the actuator, but I found the joystick works much better with it reversed. 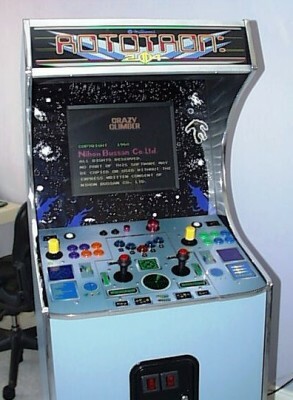 Three of my favorite classic games are Battlezone, Crazy Climber and Robotron. This flexible combination accommodates these games and others. You can also play Vindicators in cheat mode; although it works better to use the Tron joystick and the right rotary joystick. 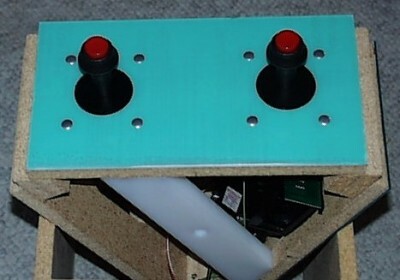 Here are the sticks mounted in my triangular rotating panel. Here is another shot showing the tight fit underneath. 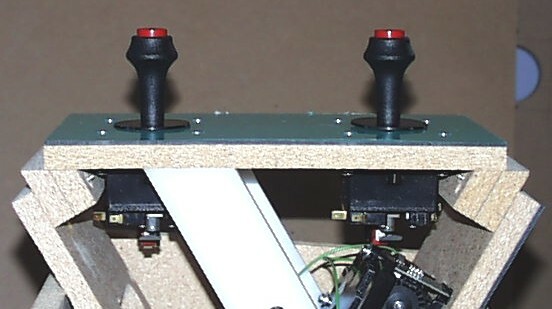 The right fire microswitch clears the trackball by about 1 mm. In retrospect, it would have been better to place the trackball off-center to the right to allow easier access to the right top fire. 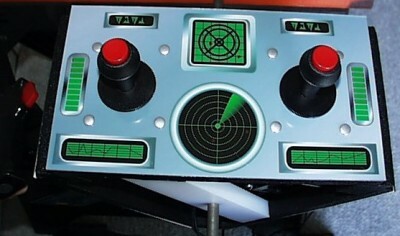 This would also have allowed space for 3 volcano buttons connected to the trackball mouse buttons. Here are the sticks mounted on my painted tri-panel with artwork.